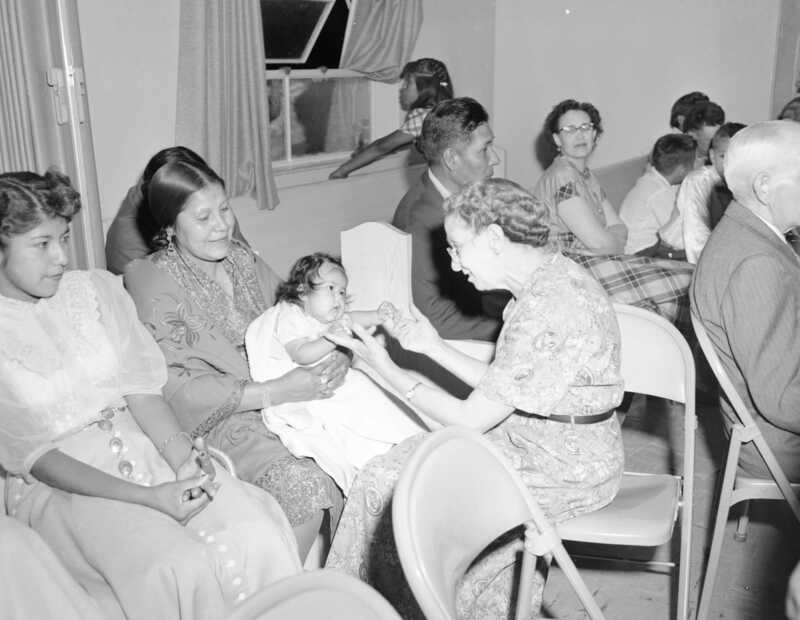 Description An elderly woman plays with a baby at the Randlett Indian Mission Church dedication. Among the group are Ivan and Clariece Duncan with theri daughter Madeline and theri baby daughter. The others are unidentified.